“SOMETIMES we see people who have a great product and we wish them all the best. But I wish you absolute failure on this. I hope it doesn’t take off and I hope it’s a terrible failure. Thank-you. 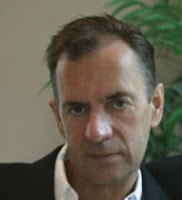 Goodbye.” – Dragon’s Den grump Duncan Bannatyne to one less-than-budding entrepreneur (BBC2, Mon).